Springfield elementary students are participating in an Illinois State research project investigating how digital mapping may improve students' science skills. A class of Springfield elementary students had a mission: Find an appropriate home in the outdoors for a box turtle. Where would a turtle want to live in the students’ area? Well, turtles need water, so wetlands would be good. But turtles also need to be far from potentially perilous zones like roads and heavily populated neighborhoods. The students didn’t go tramping through the woods, hiking for dozens of miles from one creek bed to the next, hoping to stumble upon a happy abode for their shell-covered friends. The students never even left their school. Instead they used geographic information system (GIS) software—a digital mapping technology—to analyze a series of maps showing isolated areas that have the things that make turtle life good and those that make it bad. A team of Illinois State faculty and student researchers created this simple exercise and others, utilizing not so simple technology, to develop the students’ spatial thinking skills. The researchers think that by improving those skills, they will enhance the students’ abilities to learn the STEM (science, technology, engineering, and math) subjects. 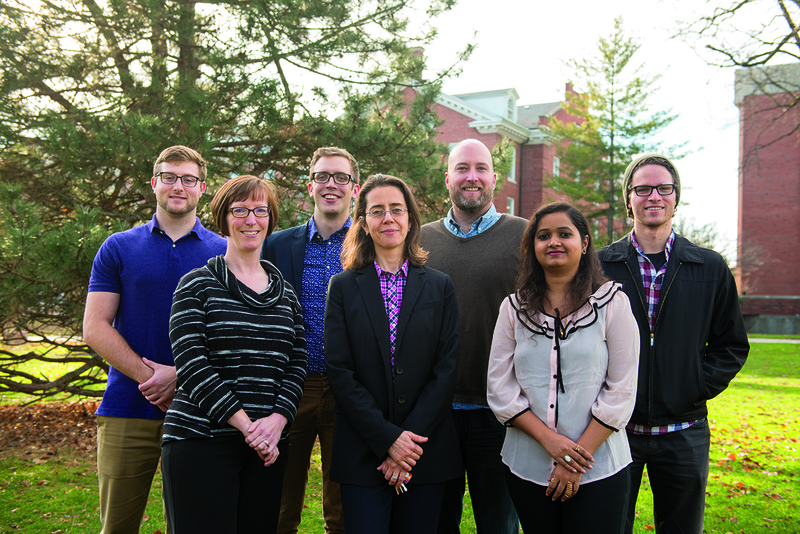 The team is led by Education Professor May Jadallah, her co-investigators, Psychology Professor Alycia Hund and Geography Professor Jonathan Thayn, and principal research assistant Joel Studebaker ’13. They designed the curriculum and produced maps adapted to an open source GIS software as part of a three-year, $450,000 study funded by the National Science Foundation. The project started in 2013 and has included about 270 fourth and fifth graders, mostly from the Springfield Public Schools. “We developed a set of learning modules that challenge students to solve ecological problems using a GIS software. GIS presents geographical information in layers of maps and allows the students to manipulate these layers using certain functions or tools,” Jadallah said. “The curriculum was also designed to promote higher-level reasoning processes including logical, multi-step reasoning; analogical reasoning; relational thinking; systems thinking; spatial thinking; and argumentation. Research with older students has shown that GIS helps increase their spatial thinking, which is, as Hund explained, their ability to make sense of the space around them. Spatial thinking is as simple as knowing how to pack the trunk of a car before going on a trip. It can be larger-scale, like understanding how things work in a galaxy, or much smaller scale, like understanding how aspects of an atom relate to one another. 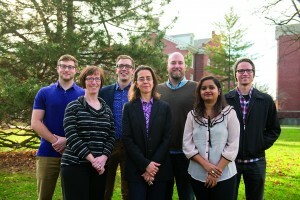 Members of the GIS project’s cross-disciplinary team include graduate assistant Zack Roman (left), Psychology Professor Alycia Hund, principal research assistant Joel Studebaker, Education Professor May Jadallah, Geography Professor Jonathan Thayn, graduate assistant Kavya Gupta, and graduate assistant Daniel Schloesser. Hund and a group of Northwestern University professors had previously conducted research on how GIS software impacts high school students. The results were so overwhelmingly positive in Hund’s study, and other studies done with college and middle school students, that the Illinois State team decided to try using GIS with elementary students. The Illinois State study is also investigating ways to close the gap in spatial thinking between boys and girls. The exact cause of the gap is unknown. However, girls as young as 3 months old lag behind boys in their ability to identify a rotated shape, i.e., an object that is tilted one way or another, Jadallah said. This gap grows as the children get older, especially during puberty. Research indicates that if girls are trained to match rotated shapes as early as first grade, they will be able to get to the level of boys. The Illinois State researchers began their study in the 2013–2014 school year with a pilot program in the Tri-Valley School District and Metcalf School, an Illinois State University Laboratory School. The program moved to the Springfield schools for the following two years. Under Jadallah’s supervision, Studebaker orchestrated and designed a 30-hour training program for the teachers. With assistance from other team members, he has monitored the classrooms during the school year. The study involves having a set of classrooms serve as control classrooms and another set use the GIS software and curriculum. Jadallah and her team are measuring the effectiveness of the digital mapping technology by analyzing the results of cognitive interviews and the National Assessment of Educational Progress. Preliminary findings have been encouraging (see graphics below). 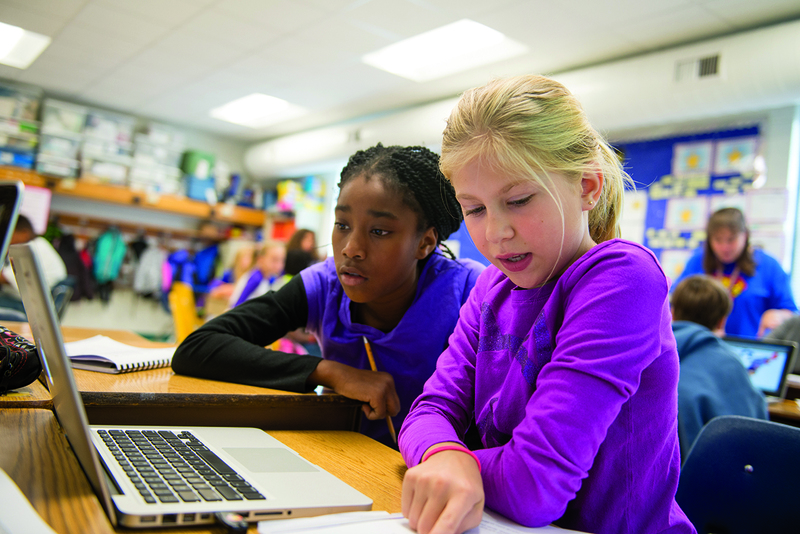 Illinois State researchers are hoping that digital mapping can help close the gap between boys’ and girls’ spatial thinking. One goal of the project is to create a curriculum that teachers around the world can adapt to their classrooms. Right now there are no standards or curriculum for teaching spatial thinking skills in elementary school. 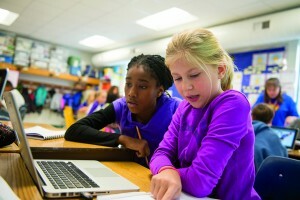 The students develop these skills as a side effect of exploring other things, such as using maps in social studies classes, or less formally, such as by finding their way to school, Studebaker said. The project has found an advocate in Lisa Schweska, who teaches science and social science to fourth and fifth graders at Sandburg Elementary School in Springfield. Her class has participated in the program the last two years. The students adapted easily to the technology, and the curriculum has helped them realize they need to double-check their sources, Schweska said. For example, when the students were looking for safe environments for the turtles, they had to compare what the maps from the curriculum were showing them with what was being displayed in more updated images on Google Earth. The students learned things can change: Where once there was a wooded area, there may now be a commercial development. The researchers have begun sharing their work at academic conferences. The team will spend the rest of this year finalizing its cross-disciplinary research for publication. For more information about the study and to interact with the curriculum, visit Education.IllinoisState.edu/NSF. Six assessments are being used to evaluate the impact of the curriculum, Education Professor May Jadallah said. The National Assessment of Educational Progress geography items (first graphic below) and Cognitive Ability Test are two standardized tests. In addition, Jadallah and Joel Studebaker designed an academic interest questionnaire, a use of technology questionnaire, a cognitive interview protocol (second graphic below), and with input from Jonathan Thayn, a transfer test. The cognitive interviews were coded using five higher-level reasoning categories: 1. Analogical reasoning: using analogies to make a point. 2. Counterargument: considering alternative perspectives. 3. Logical reasoning: using if-then statements to explain the sequence of events or cause-effect relationships. 4. Spatial thinking: referencing space. 5. Systems thinking: combining ecological, economic, health, and practical issues in the construction of the answer. The graph indicates the differences in higher-level cognitive processes between the two groups.